Ishq Subhan Allah update- Kabir takes Amaan to Madarsa. 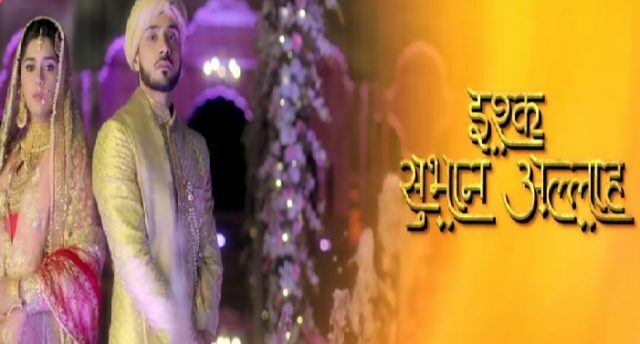 The Zee Tv serial Ishq Subhan Allah is one of the most favourite show. There is high voltage drama is in the show. Ishq Subhan Allah serial shows a beautiful relationship between Kabir and Zara. Viewers like to see the serial Ishq Subhan Allah. Todays latest episode 27th November 2018, an update of serial Ishq Subhan Allah begins with both Kabir and Zara are in the car. Zara said to Kabir that I will enjoy winters this season. After this, she turns on the music in the car. Kabir said I did not understand why you are so happy? He askes to Zara that is you won and got the funds? I did not lose, you are too happy but nobody can make me lose. Zara says come out of your ego. I got to know how to make things happen when you are under, my victory is near. Kabir and Zara both come at home, Zeenat is scolding Amaan for not doing his homework. Amaan runs to Zara and cries, Amaan says that I failed. Zara says that you are rocked. Zeenat says teacher failed him as they can not make him study. I wanted him to study in Madarasa and becomes like Kabir. he said to Amaan that I will put you in school where you will learn the religious and education both, I will take you to my Madarasa. Kashan said he will study in the same school where he is. Kabir said but… Ayesha said only Shahbaz will decide Amaan will study. Kashan asks Zeenat why he wants to send Amaan to Kabir’s school? Zeenat says Amaan is more respected, I did not want to hurt you, and you are educated. She said that you run the business but family gives more power to Kabir. Zara thinks about Kabir’s words to send Amaan to Madarasa. Kabir shows his cap to Zara and said I wore it in my Madarasa. Upcoming Episode of Ishq Subhan Allah: Roshan says Amaan is my son and he wants to go to Madrasa. Zara said there is nothing wrong with his decision. Kabir starts fighting with Zara.